Videos are becoming a vital component in today’s online climate. It has been reported that 55% of people watch online video daily and spend 2.6x average more time on video sites. This clearly shows that promotional video is a progressive step for businesses to increase traffic. Today, almost every company is using videos to promote its products and services. According to a 2017 survey, 81% of business uses video and there has been a 63% increase till date. A promotional video is a visual advertisement for the Internet. An online video can be created and distributed without breaking your bank. 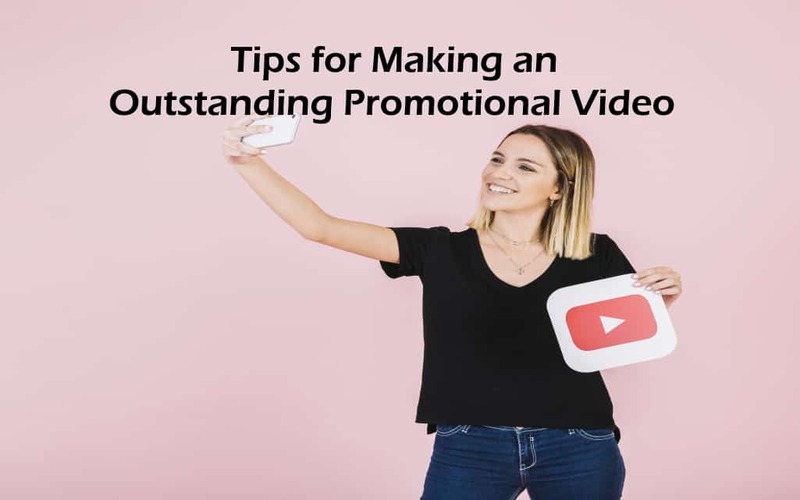 A promotional video can be posted on the site, shared via e-newsletter, email or even posted on video mediums like YouTube. While you reach many people with a TV ad, you can reach even double or more than that with an online promotional video as it is more likely to be shared on the web. Introductory Video– These video promotes business and removes the fear from people’s mind of being scammed. The video introduces a product and service of business in front of potential customers. How to Video- Also known as tutorial videos, these videos are designed for people to show them how to do a specific task in a short span. It could be installing software, or changing washer or anything that needs guidance. Product Video– This is another type of promotional video that enables you to highlight the latest product release or even existing products. These videos may contain still images or a story-telling. It is not only used to showcase products, but also helps the consumers to understand the features and benefits of them. Personal Video– This type of promotional video is adding a personalized touch to the video. If you own a small business and run a Facebook fan page then you can even add your own personality than being completely product-based. Remember, buyers, love to know the people associated with a brand name. Whether it is a sales video, a training video or any promo video, one of the most important elements it possesses is the SCRIPT. Regardless what sort of video you want to create, make sure the script is informative and engaging. Before writing your script, jot down the major points you want to add in your video and then start writing the script. Make sure to add all the important points that can help you to boost up your promotion campaign. Remember, no one likes the boring video, so ensure to make it fun, engaging and easy-to-understand. Write your script in the same tone when talking to your friend, Make your viewer feel that you are talking to them casually. After drafting the script, read it aloud. Record yourself and see how it sounds. Once you have recorded everything, move on to the visuals. #2 Short Promotional Video is the next BIG THING! Almost everyone loves to watch creative ads, but this cannot be said on YouTube ads. A 30-second and should be something that restricts people to click on skip ad. So, the best advice here is to make a short promotional yet engaging video. Make sure your promotional video is shorter so people will be keen to watch it without skipping it. After creating a video, watch it carefully and see if something can turn the interest off. Start showcasing your ad on several social media platform with strict time limits. The main idea behind the short promotional video is it tells your audience why they should love your service or product. Even according to research by Microsoft, average digitised brain pays attention for 8 seconds. So, make sure your video span is between 6-15 second with a fun and engaging element included. Furthermore, in today’s social media era, videos can go viral and if it interests your users they will share it for sure. Whom you are targeting? Do you know who is your target audience? Are you targeting teenagers, adults or elderly people or all? Knowing about your audience can reveal something about what they act or feel in a specific way. In other words, it tells you what will drive your audience towards your product or service. Promotional videos tell your potential audience what they need to know about your service or product. After they watch the video, they will be hooked and willing to invest. Whether you believe it or not, but 85% of people are more likely to purchase a product after watching a promotional video of that product. With the Facebook autoplay feature, marketers have been enjoying the increased exposure for their videos. However, in order to succeed in getting ‘views, ‘ every video has to pass the ‘three-second audition’ platform. The first seconds of your videos allow viewers to decide if they want to view it full or without any sound. Therefore, it is essential that visuals convey the message themselves. Beyond capturing the attention, it is always suggested that many people don’t prefer the sound and give preference to watch a video silently. For instance, when people don’t have headphones, they prefer to view a video in silence. This clearly indicates that your website should be something your audience can watch silently and still understand the concept. The promotional video is the first step on a user’s journey to your brands. The main aim is to make the audience familiar with your brand and drive their interest for further engagement. If you want to collect email signups, consider linking a free download or a competition. Regardless of your desire, make sure you conclude with a strong call-to-action. Create interests that drive people to buy products and services. To make your promo videos stand out you need to be creative. If your video is not visually appealing or interesting, people will not take notice or share it. Today, there are many effective tools like Renderforest, that can help you to create a promotional video for your brand. The fast, affordable and easy video making tool like Renderforest makes your video making a piece of cake. All you need is to visit the website and follow the step-by-step guide to create a unique promo video for your brand.